Popcorn was made for finger-licking fun. 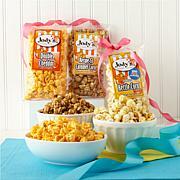 And with Jody's irresistible caramel corn you get to indulge your sweet tooth and keep your fingers busy. 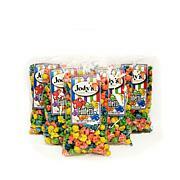 These packs make fun gifts, but we won't tell anyone if you tear open one and start munching before the gifting. Produced on shared equipment. May contain traces of soy, milk, peanuts, tree nuts or coconut. Serving Size 28 grams/ 1 oz. 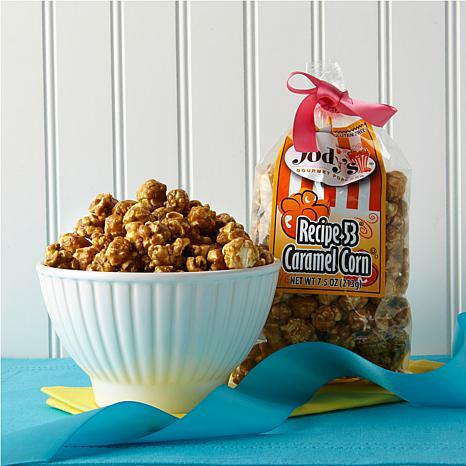 Ingredients: Sugar, Corn Syrup, Popcorn, Coconut Oil or Corn Oil, Butter, Salt, Baking Soda, Vanilla, Soybean Oil, Soy Lecithin. Received my order in a matter of days. 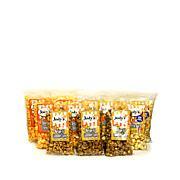 This is some of the best caramel corn I have ever tasted. Definitely not like the cheaper stuff another reviewer mentioned. You get what you pay for. Fresh, crunchy and yummy. Nice, thick coating on the popcorn. Just placed a second order. So glad I found this brand! 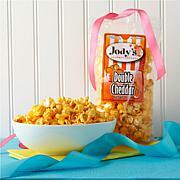 Thanks, HSN and Jody's! I was glad I bought this. Taste delicious! Will buy again definitely. Excellent product, did not follow portion guide! Try it, it's one of the better food products I have bought from shopping channels.